A new wind farm agreement complements Royal Caribbean’s comprehensive carbon reduction initiatives. Royal Caribbean Cruises Ltd. announced that they’re furthering their carbon reduction initiatives by partnering with Southern Power on a wind farm that will offset up to 12% of Royal Caribbean’s emissions beginning in 2020! Read more about this agreement here. Royal Caribbean Cruises Ltd and 70 operators are celebrating the completion of a multi-year program aimed at increasing the number of sustainable tours available to the company’s five million annual guests. 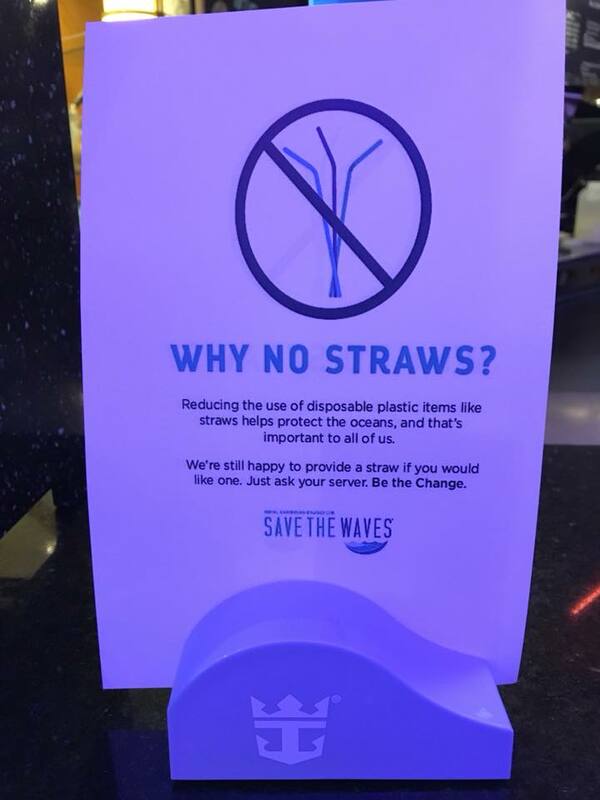 Royal Caribbean's Save the Waves program has been an important part of the company's drive to raise awareness among its guests by designating tours whose operators have been verified to have adopted policies that align with international standards for sustainability developed by the Global Sustainable Tourism Council (GSTC) for tour operators. RCL worked with Sustainable Travel International to develop the Sustainable Tourism Education Program’s (STEP) Sustainable Shore Excursion Standard, a subset of criteria and indicators from the GSTC standard selected by STI as being applicable to cruise tourism shore excursions. 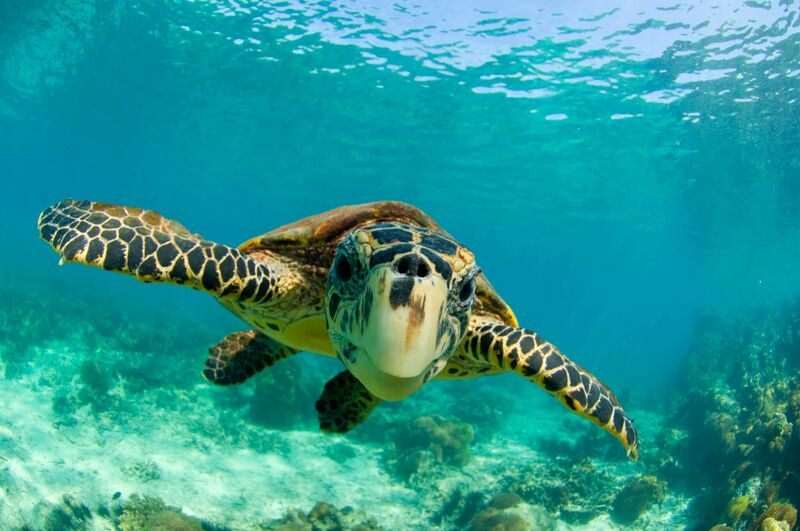 The SSE standard is designed to help identify providers who offer high-quality shore excursions that also support local communities and conserve the environment. Sustainable shore excursions are more than just nature tours – they encompass a broader category that includes tours that responsibly manage environmental impacts, preserve local history and cultures, protect the rights and resources of the local community and have properly trained employees committed to quality service. The Global Sustainable Tourism Council (GSTC) represents a diverse and global membership, including UN agencies, leading travel companies, hotels, country tourism boards, tour operators, individuals and communities – all striving to achieve best practices in sustainable tourism. 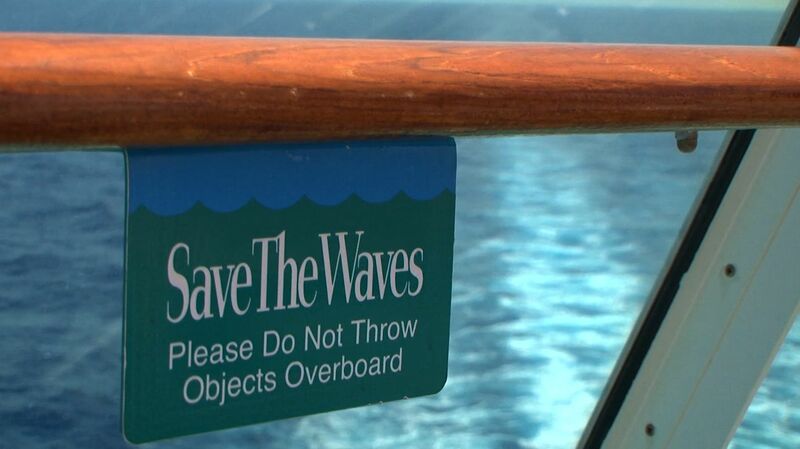 Guests on a Royal Caribbean cruise can help save the Earth between time at the pool and or enjoying a show. 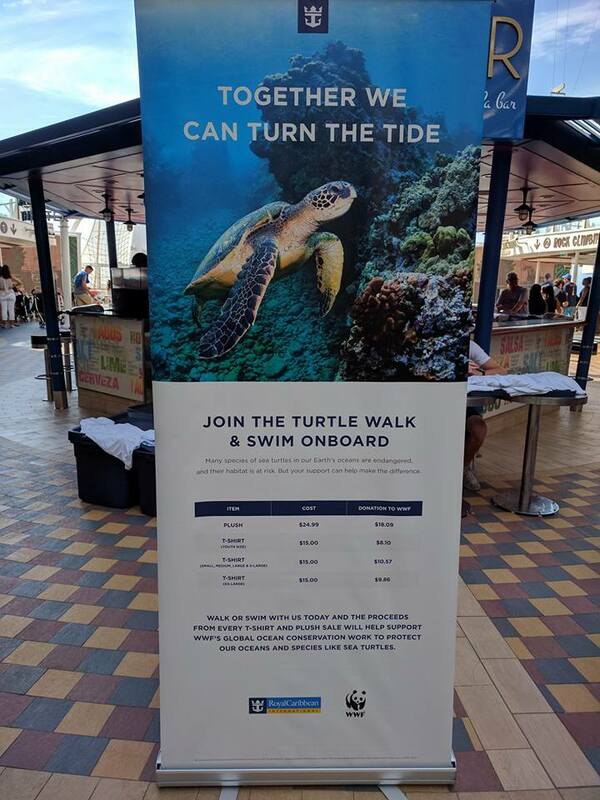 Last year, Royal Caribbean announced it was teaming up with the World Wildlife Fund (WWF) to create a global partnership to support ocean conservation, and those efforts are spreading to onboard the cruise ships for guests to get involved too. 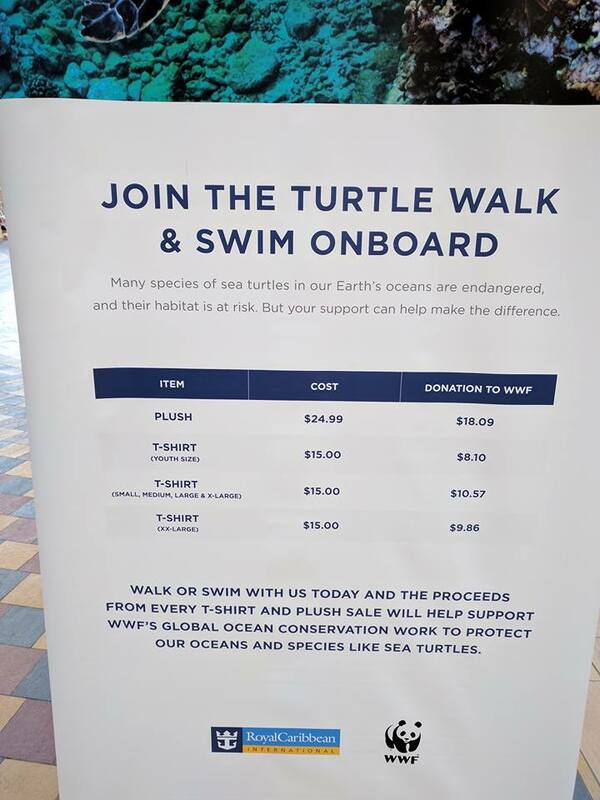 On Allure of the Seas, Royal Caribbean allows guests to walk or swim as a group to support the efforts of the WWF. T-shirts and plush dolls are available for sale, with proceeds from every sale going to WWF's global ocean conservation work. 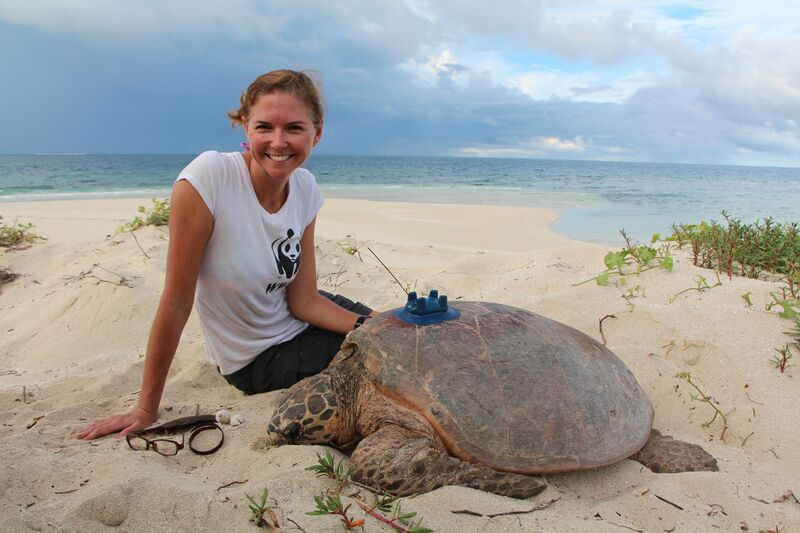 The plus doll available is a sea turtle, which is indicative of the type of animals the WWF is working to protect. 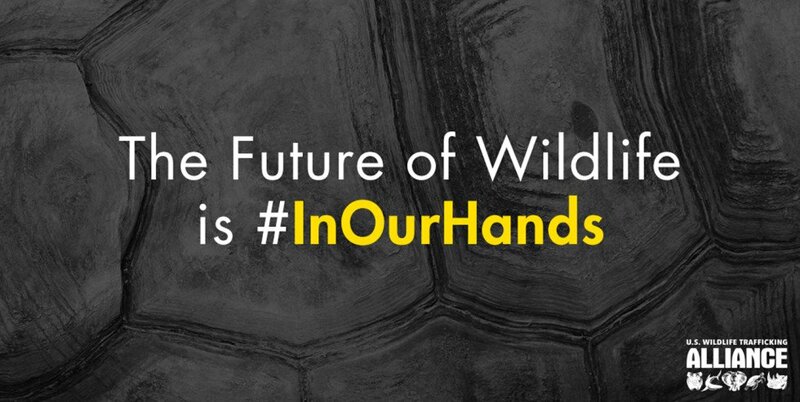 Royal Caribbean and the World Wildlife Fund (WWF) announced they have set new sustainability goals to reduce Royal Caribbean's environmental footprint, raise awareness about ocean conservation among the cruising guests and support WWF's global oceans conservation work by 2020. 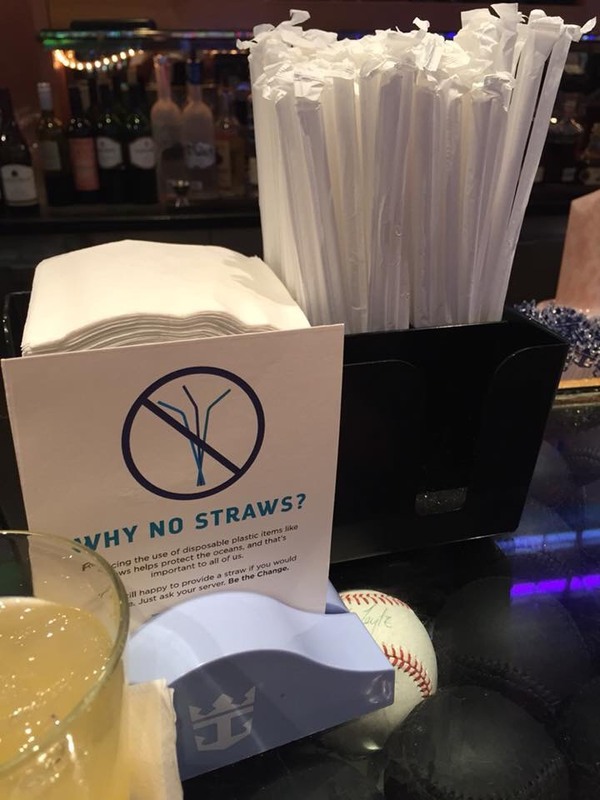 Royal Caribbean initially targetedon reducing carbon emissions and ensuring sustainable seafood procurement, and now is now announcing additional 2020 environmental sustainability targets.